Improve Your Profits is a business tool for retailers, e-tailers, coffee houses and shops, etc. 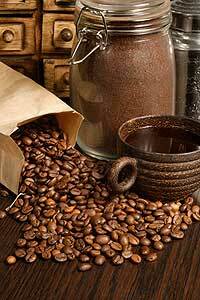 The site was created by Bob Johnson, the founder of Kaffe Magnum Opus (kmocoffee.com) and provides helpful tips and proven sales ideas / methods derived form years of experience in the business of selling and roasting coffee beans. Improve Your Profits will bring profits, happiness and peace to your life, family, store and customers. Our tips and suggestions will help you gain Peace of Mind and help insure your future. The items listed in the menu on the left side of this page are a collection of tips and ideas. These are based on actual retail experience and have been successfully implemented by many other coffee professionals to help increase the sale of whole bean, ground and brewed coffee. Share your ideas - send them to bob@kmocoffee.com.